This is the Halloween unlimited harvesting tool in GW2. It is a jack-in-the-box clown with a scythe. I picked one up just after they became available and equipped it on the latest character I have been leveling. I didn’t think that one through. I don’t think I even watched a video of the animation. A week later I had a nightmare involving a seven-foot-tall Joker with a scythe. 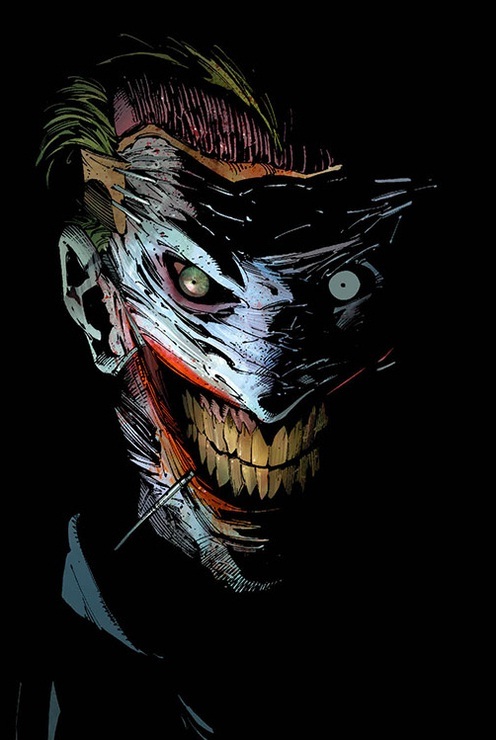 Reading about New 52 Joker couldn’t have helped that. Fast-forward to the latest Living World content, released while that scythe is for sale. Groups of 4-5 toxic seedling harvest nodes appear together. They tend to sprout up near the Living World events, so picture the 40-person zergs that swarm those the first night. 5 or 6 people in the event zerg have the jack-in-the-box. In less than a minute, thirty scythe clowns pop out of nowhere to harvest. Listen to that wheezing laugh again, and imagine dozens of them, slightly offset and overlapping, repeating the whole time. Emergent behavior: creating quality Halloween creepiness. That is truly repulsive. One of the nastiest Cash Shop items I have ever seen in any MMO. On the positive side, even though I spent a couple of hours zerging round Kessex on the first evening and have harvested more toxic seedlings since then than I care to count, until I read this post I was blissfully unaware of that clown’s existence. Maybe we’re all tightwads on YB. I’ve been debating on whether to pick up another unlimited scythe for convenience, but just can’t get over how goddamn ghastly that clown is. I guess I’ll wait for the next one, or when the old sickle comes back. There’s something kind of fantastic about a Halloween cash shop item which is so creepy people don’t want to buy it.